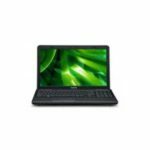 Toshiba Satellite C655-S5090 is a 15.6-inch laptop outfitted with a 2.2GHz Intel Celeron processor 900, 2GB of DDR3 RAM, and 320GB (5400 RPM) Serial ATA hard drive. It sports a 15.6″ diagonal widescreen TruBrite TFT display at 1366 x 768 native resolution (HD) with native support for 720p content, and an Intel Graphics Media Accelerator 4500M with 128MB-829MB dynamically allocated shared graphics memory. 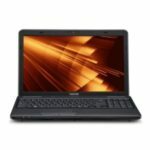 The laptop also has a webcam and microphone, 8x SuperMulti DVD drive, 802.11b/g/n Wi-Fi, VGA video output, and 6-cell battery for up to 4.5 hours of life. The laptop runs on Windows 7 Home Premium 64-bit operating system. You see, such a configuration is good enough for our daily use, people are very satisfied with it. 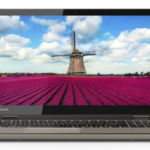 As a well-configured 15.6″ notebook PC, the Toshiba Satellite C655-S5090 is great for watching movies and playing games, you'll enjoy wonderful experience with it. 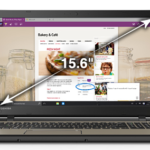 Plus, the built-in webcam and Toshiba Face Recognition software on this machine let youl enjoy a more convenient way to communicate, log on or share your laptop among the family. 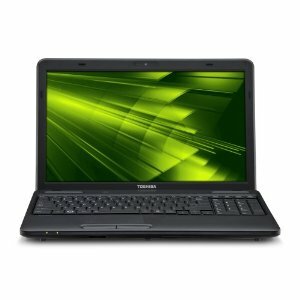 Who would like this Toshiba laptop most? The laptop gives families, students or small and home-based businesses the essential power and workspace to study, tackle budgets with a handy 10-key pad, keep up on Facebook and Twitter, or simply do more at their desk. So I think it can meet your needs very well. Price as Reviewed: $349.99 (on Amazon). You can see this is a very affordable price, people are very glad to accept it. 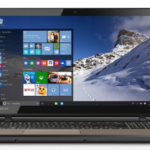 So what do you think about the Toshiba Satellite C655-S5090 15.6-Inch Laptop?